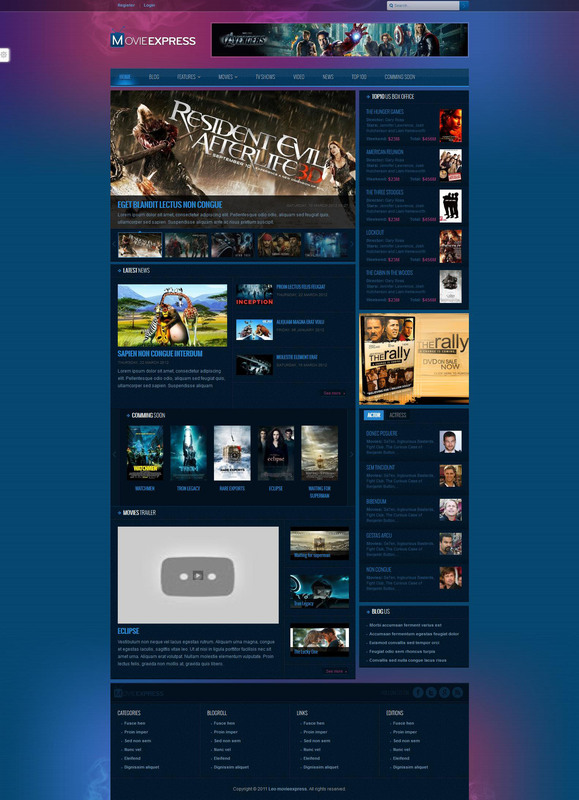 Leo Movie Express - a professional template for CMS Joomla 2.5, dedicated to world cinema novelties from the team LeoTheme. Elegant design template presented two color variations, which can be easily changed via the built-manager configuration management template. This tool allows you to set the desired background site, define a modular design, font size, type and color. Functional framework studio Leo Framework, used in this template provides a responsive design with support for mobile platforms, excellent optimization files, fast downloading and compatibility with all browsers. Availability popular K2 component opens up new possibilities in the publication and posting materials on the site. Leo Movie Express an ideal solution for creating websites online theater or multimedia portals.